As always: this is BETA software under development! Beware of bugs! Includes a minimal install with a couple of plugins for testing. 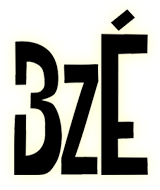 Buzé 0.6, 0.7 and 0.8 are fundamentally different programs from earlier versions. If you are looking for an earlier version, please check the old site. Buzé and the Lunar audio plugins have been split into separate installers. The Lunar installer does not have a user interface, but installs itself to %PROGRAMFILES%\Lunar, and also adds itself to the PATH environment variable. After installing Lunar for the first time, remember to restart Explorer.exe in order for the system to pick up the path environment changes (or reboot). Please delete libjack.dll from the Buzé program directory when upgrading from an earlier version! Startup fixes for JACK. The JACK driver appears automatically in the Audio Driver Preferences when JACK is installed. Please delete libjack.dll from the Buzé program directory when upgrading from an earlier version! Compiled with Visual Studio 2012 Express. The build process was simplified, now uses free (as in beer) tools only. This time, most development went into the core audio engine (aka Armstrong, aka libzzub), focusing on compatibility improvements in ASIO and VST support. 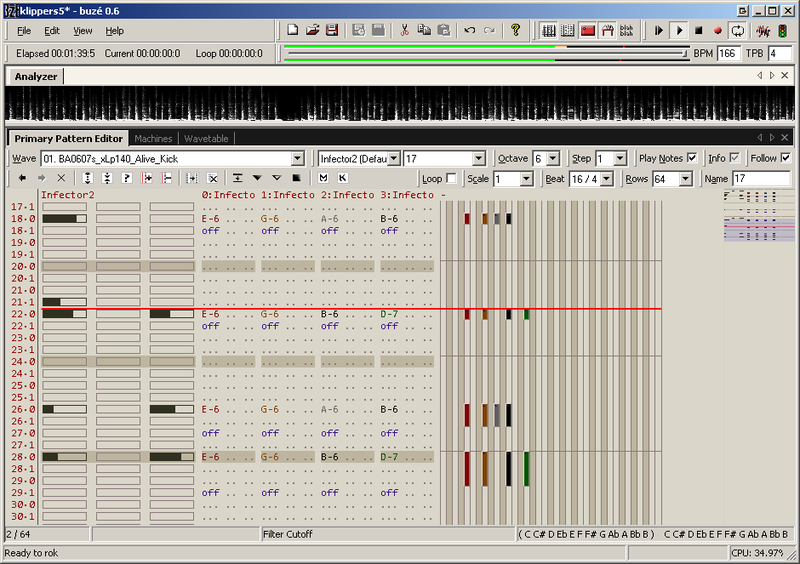 This version fixes a severe bug in the mixing engine and improves Lunar Compressor 2. This version introduces one major new feature: plugin groups! In addition to a great number of smaller fixes and enhancements. While waiting for the next major update, I've created a bugtracker on sf.net. Please post your bug findings and feature requests here. Bugfixing, looks for VAMP plugins in Gear/VAMP, includes the QM set by default, orderlist queue overrides pattern loop, can select source plugin in analyzer. 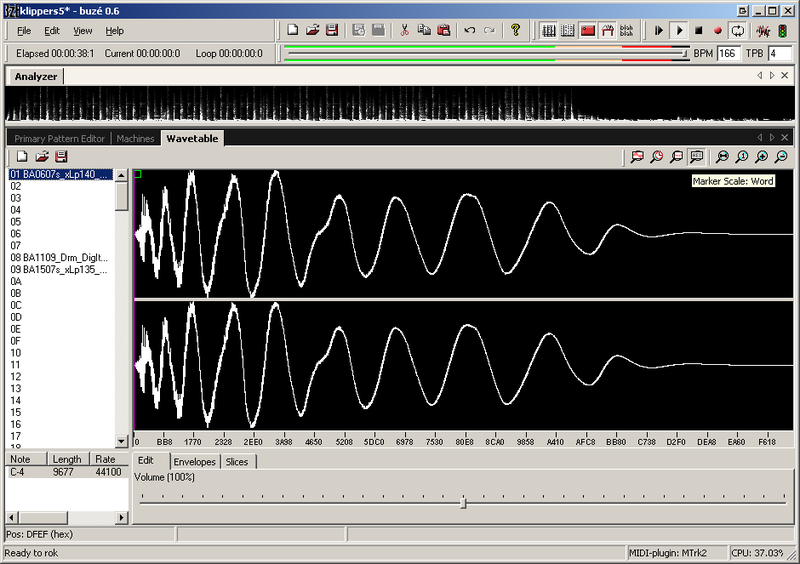 Bugfixing, new pitchshift/timestretch wavetable fx based on SoundTouch. Bugfixing, simpler default startup document, new joystick controller plugin. Bugfixing and default hotkey updates: F3 = Machine View, no default hotkey for the Secondary Pattern Editor. 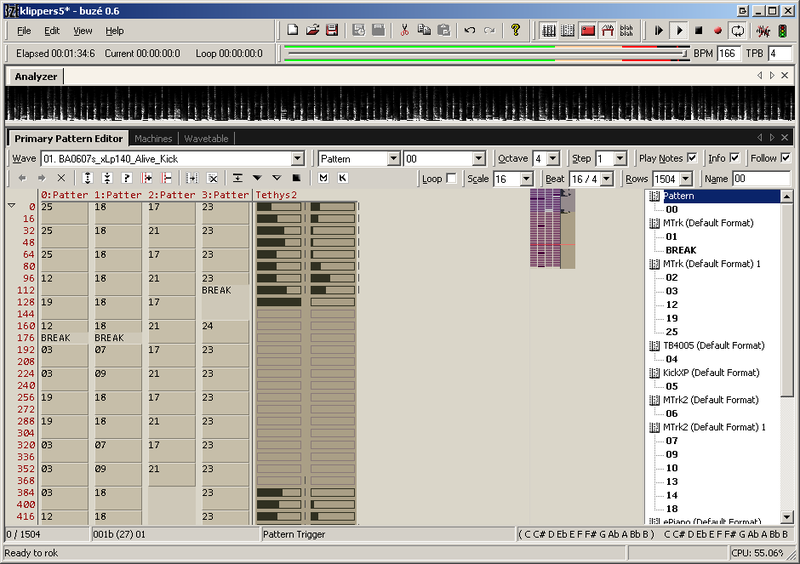 Parameter view optimizations, new button for toggling the user interfaces of VST and MFX plugins inside the parameter view, property view follows selected waves and wavelevels. MIDI plugins fixes, "new machine" context menu updates, new VST path preference, plugin properties updates, new work in progress MFX (MIDI Fx) plugins wrapper, parameter view updates. Thx to zeffii and sqz.